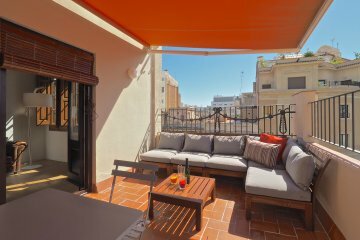 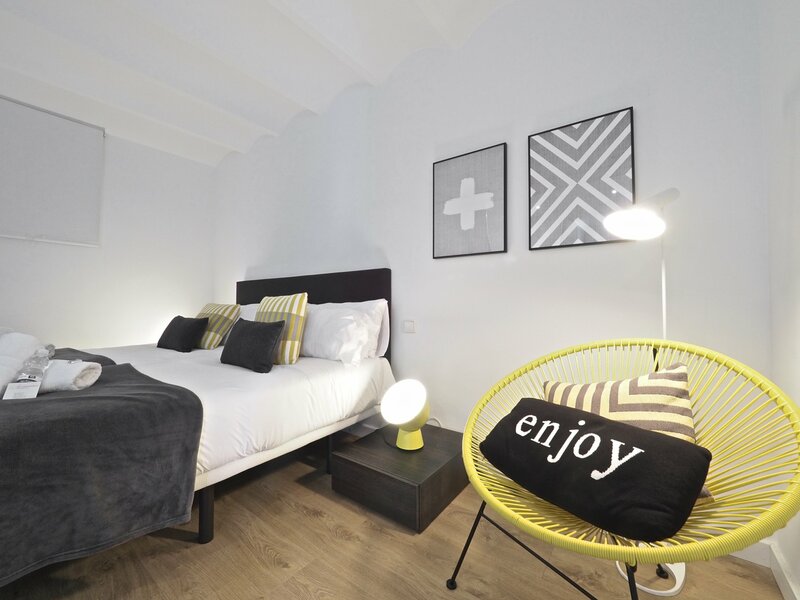 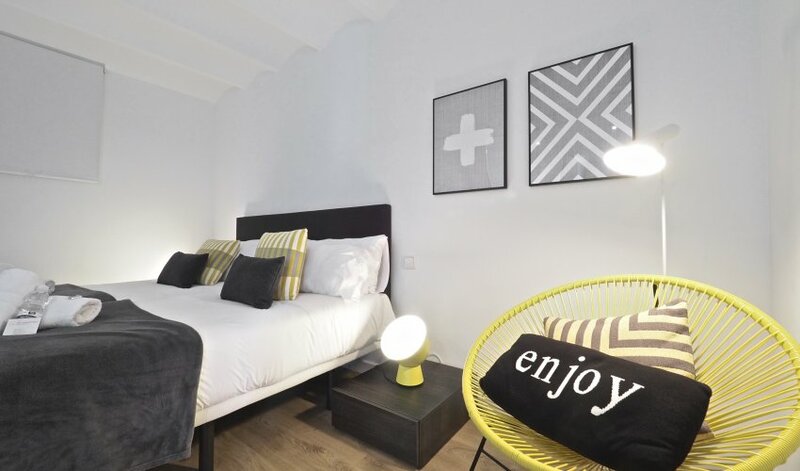 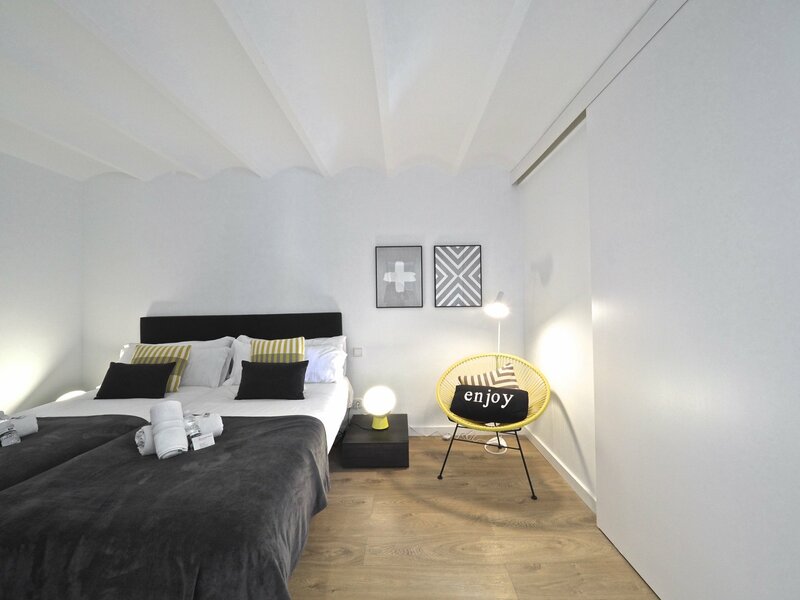 ↵The Central Place Terrace II is one of our best tourist apartments in Barcelona, newly remodeled in July 2017 with boutique style combining vintage, chic trends with traditional modernist style of Barcelona. 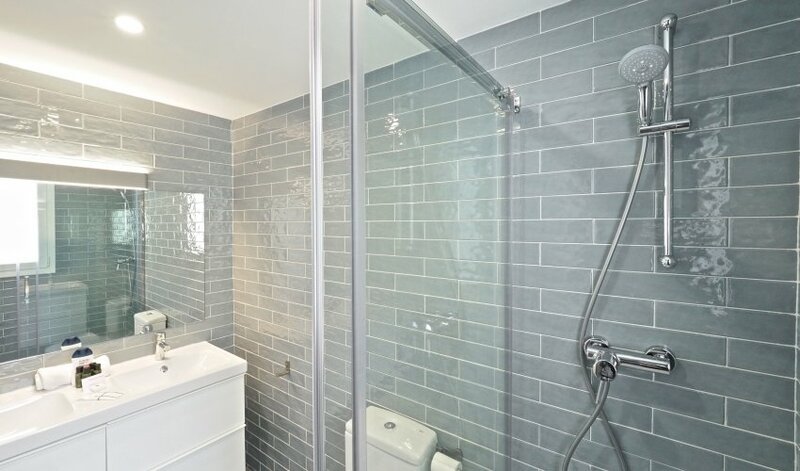 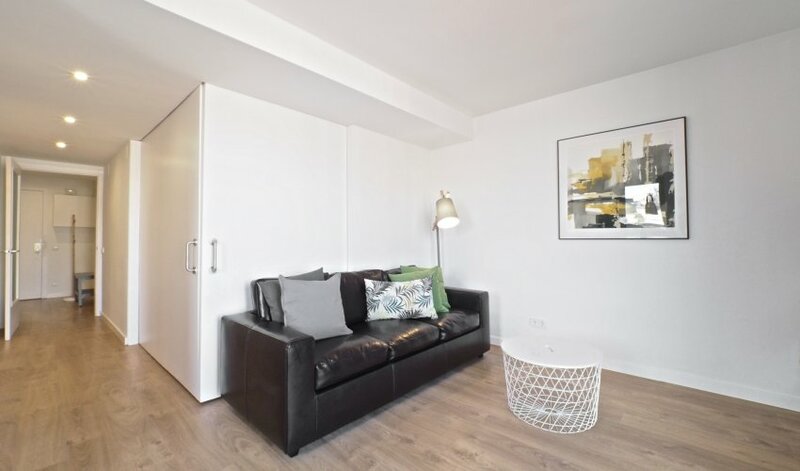 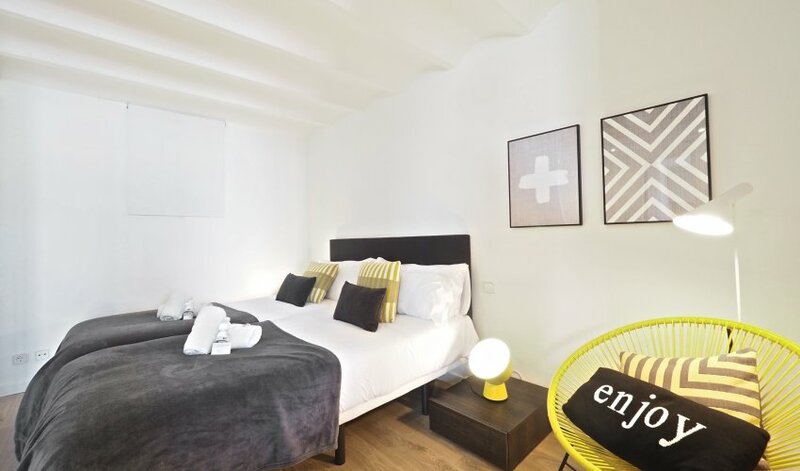 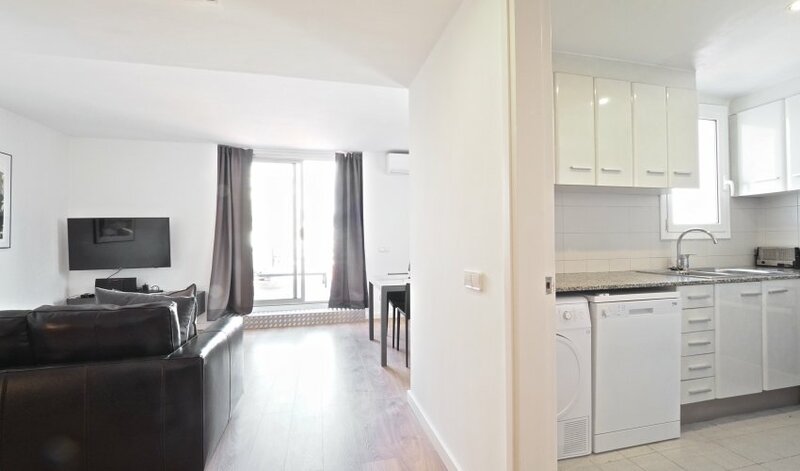 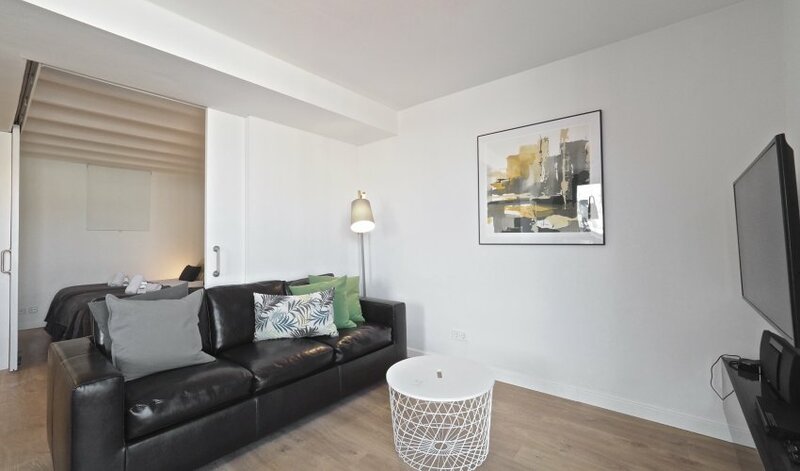 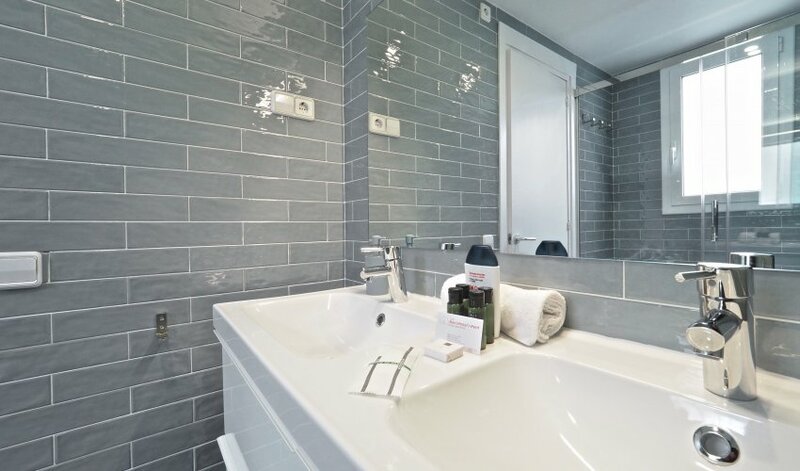 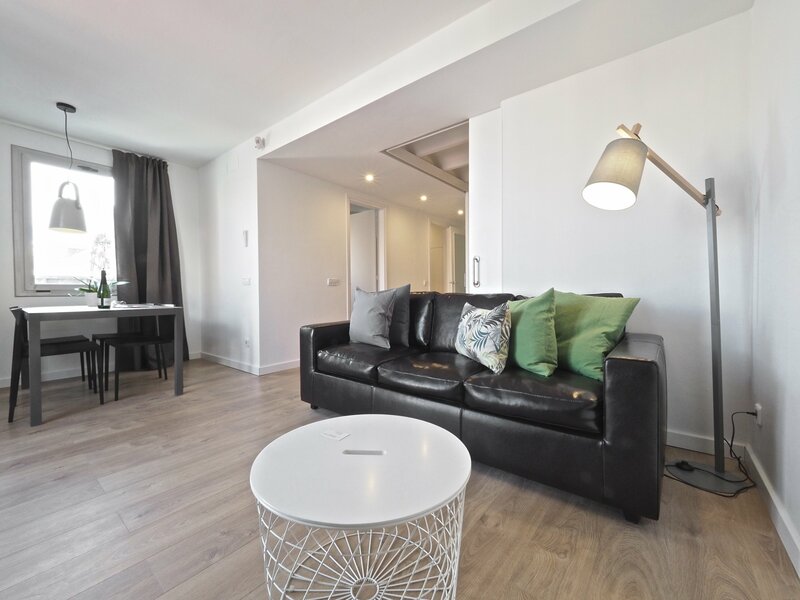 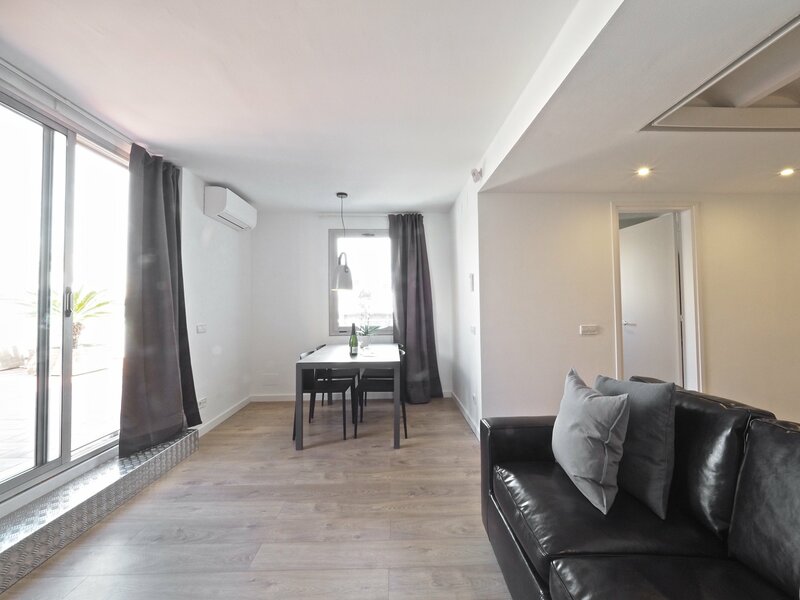 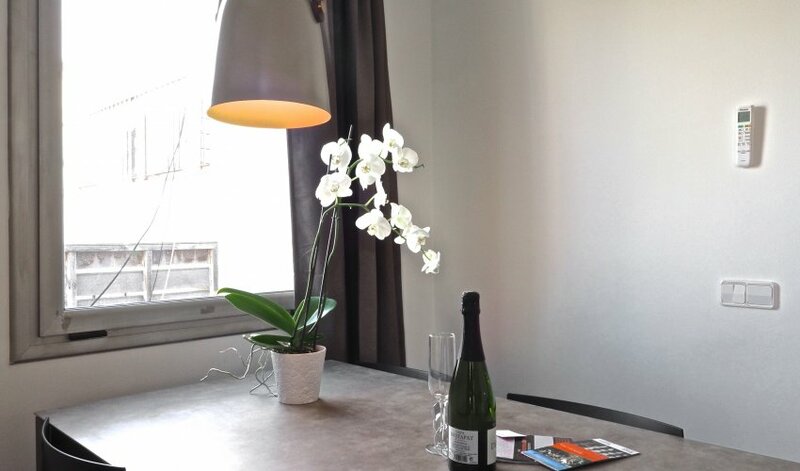 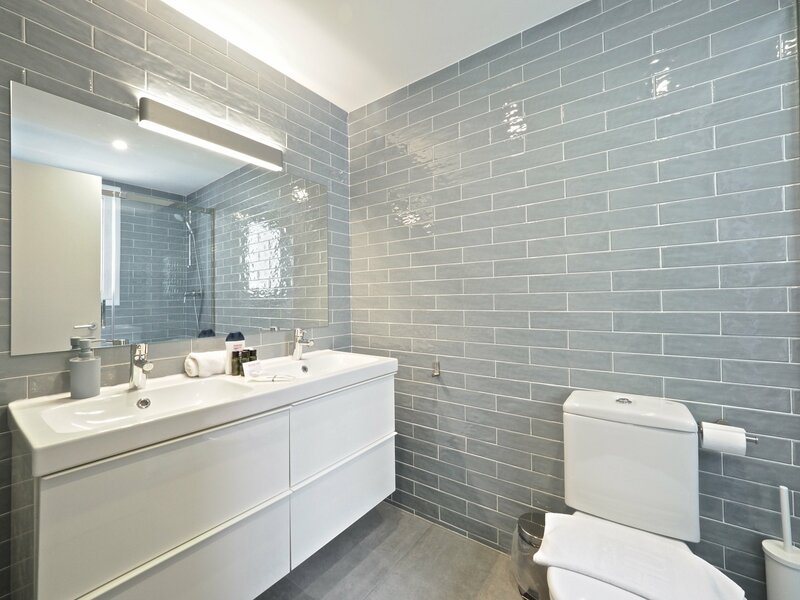 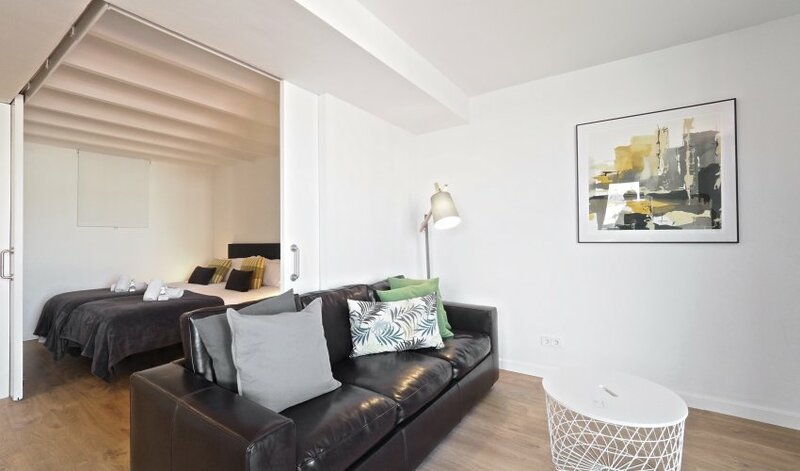 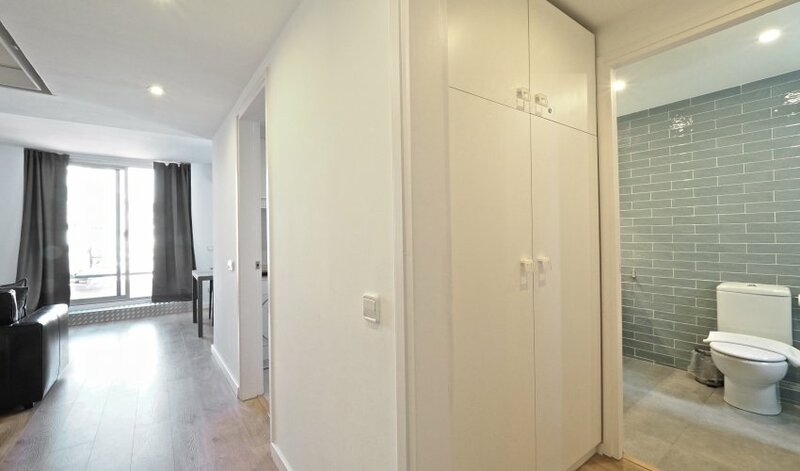 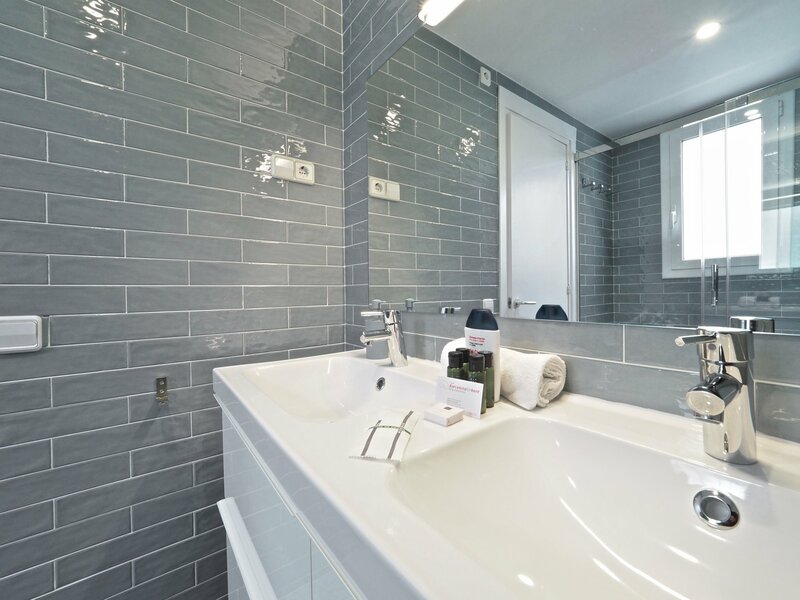 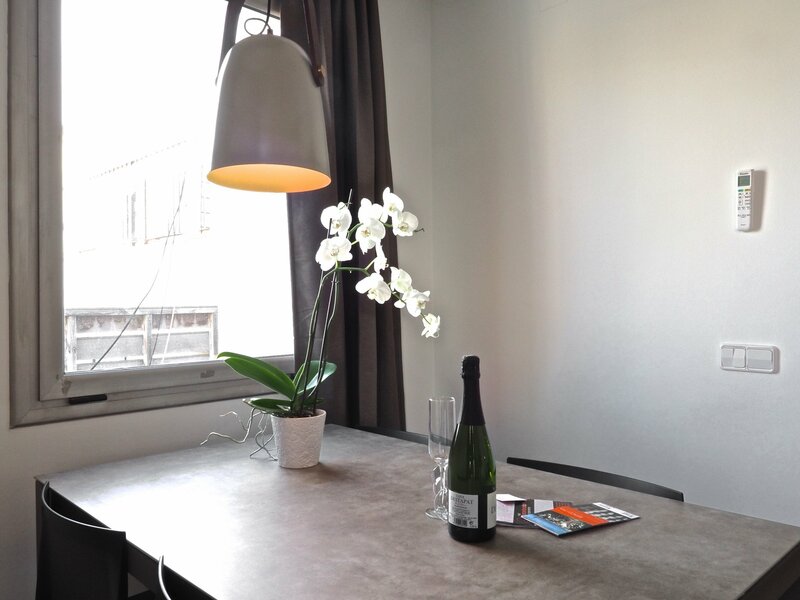 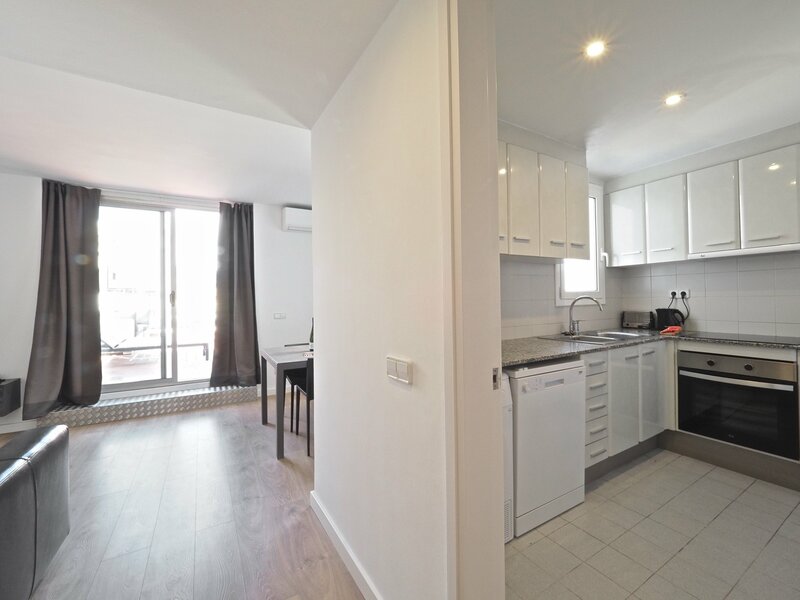 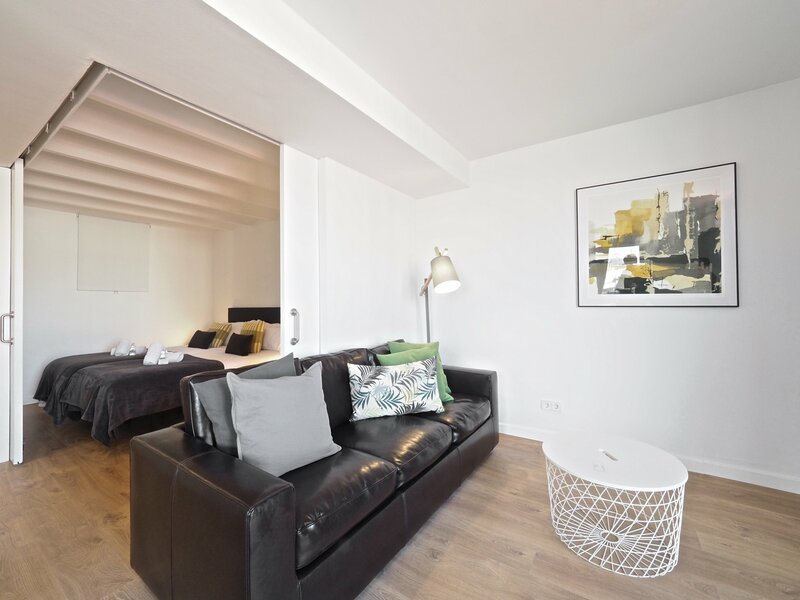 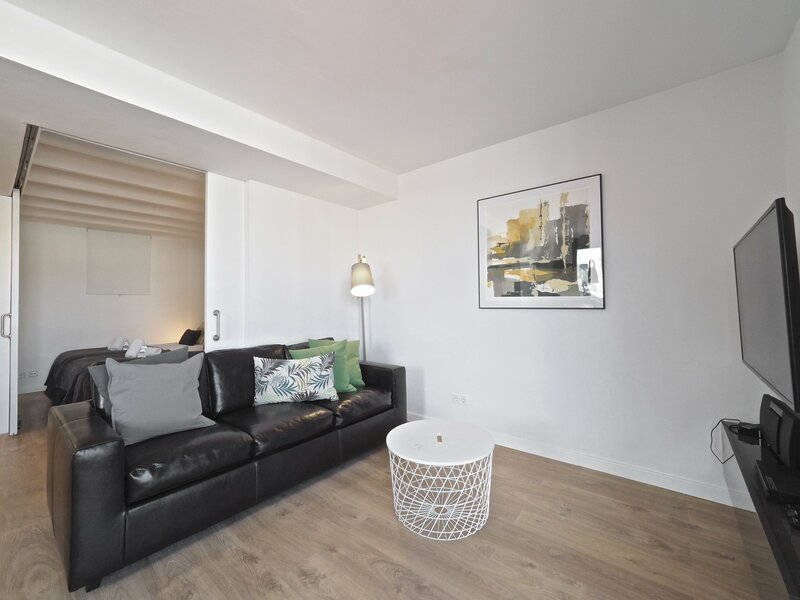 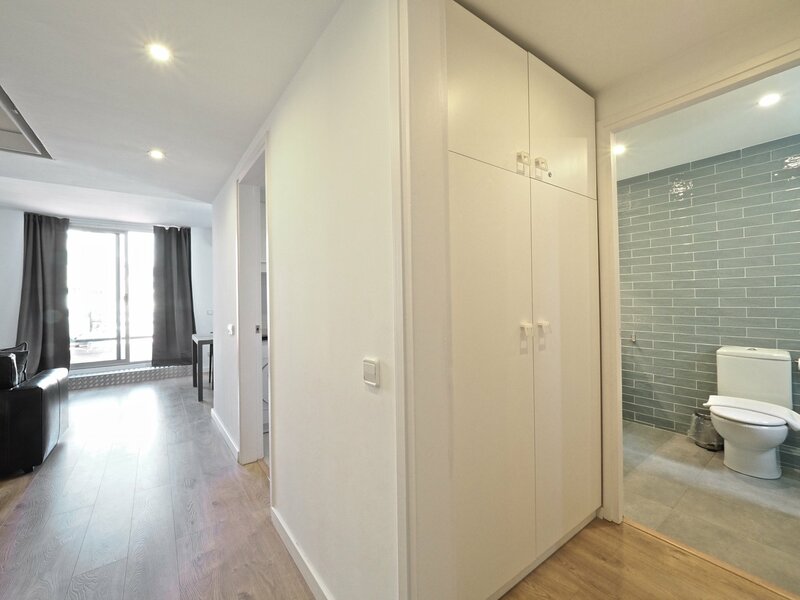 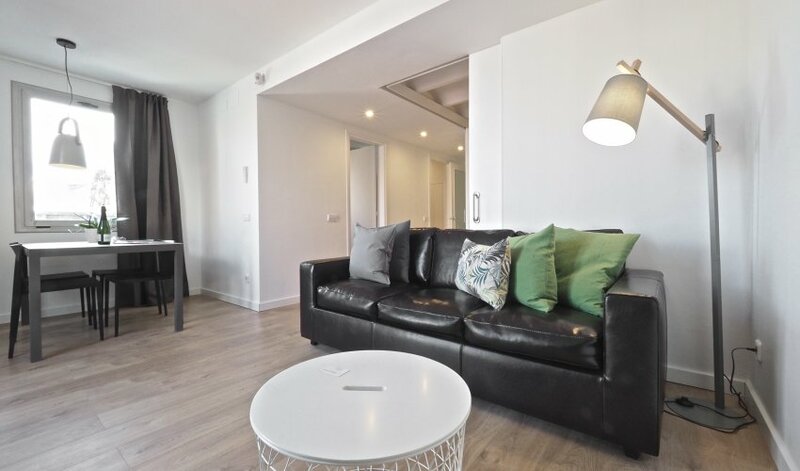 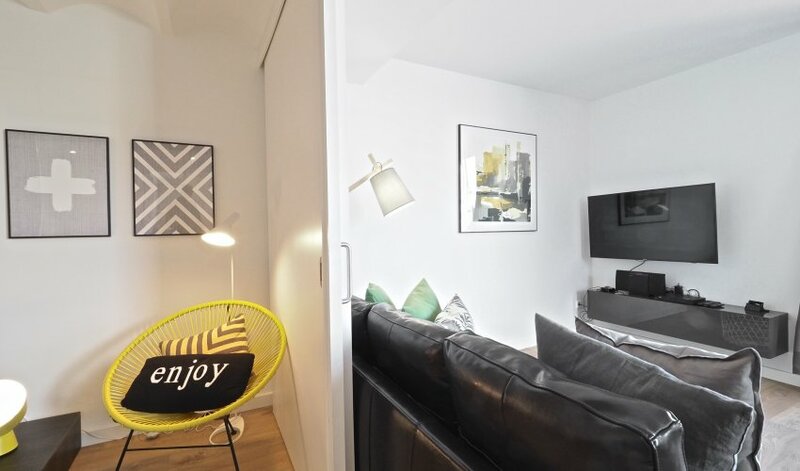 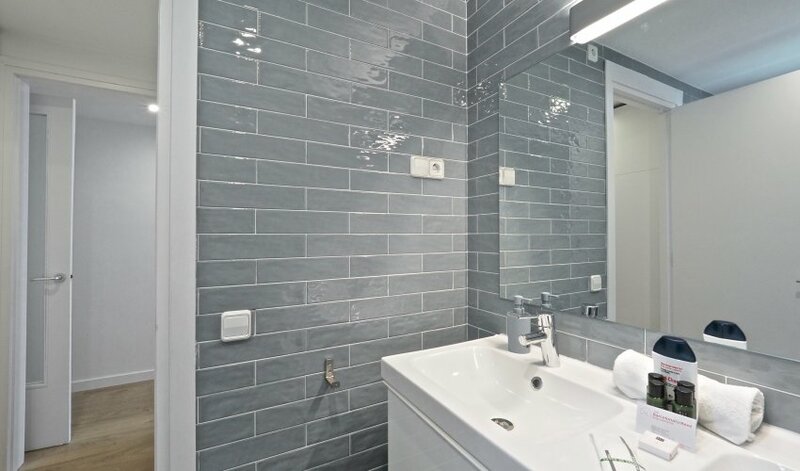 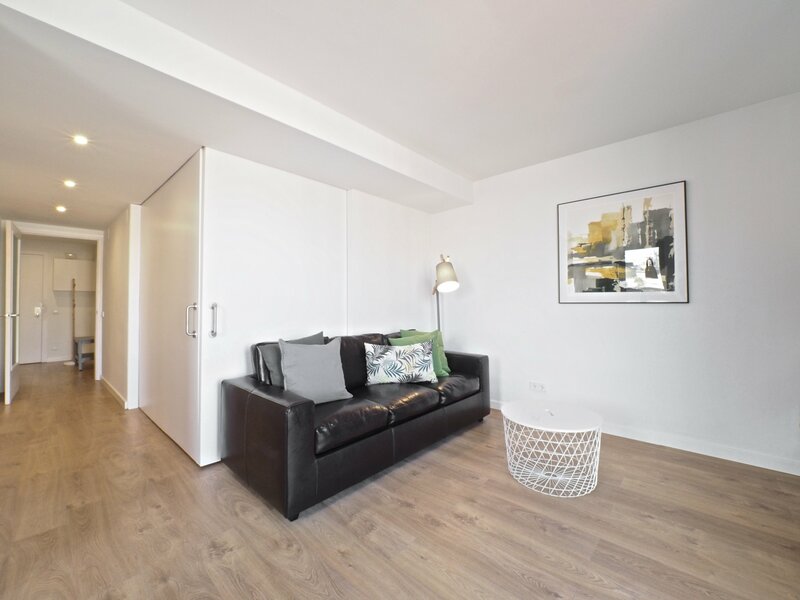 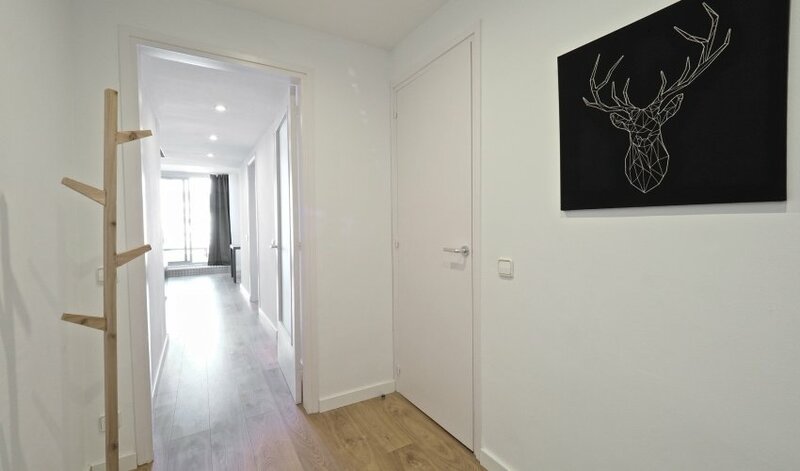 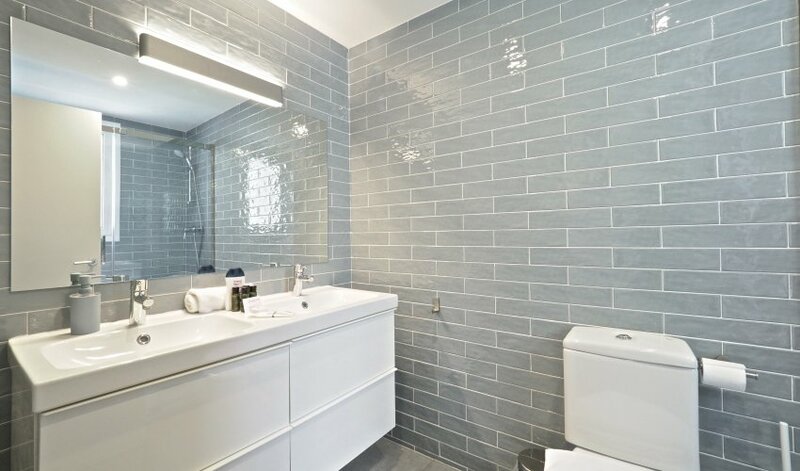 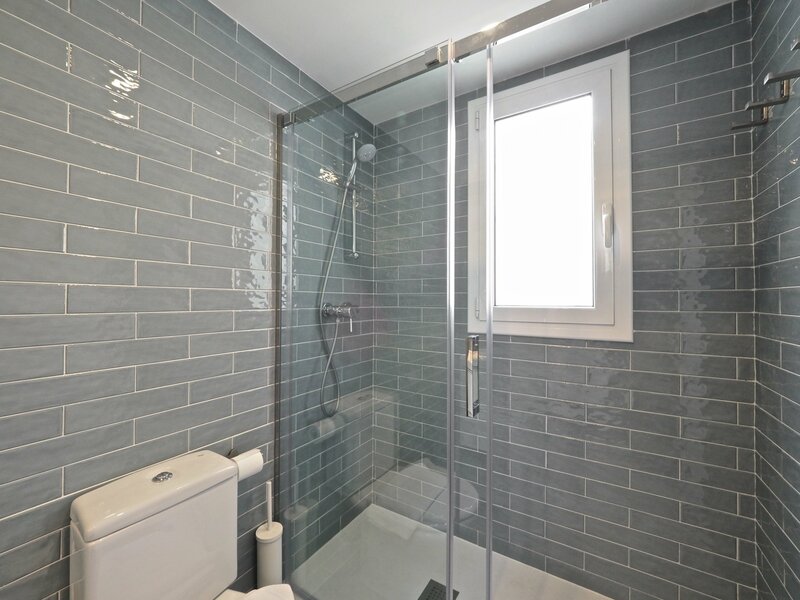 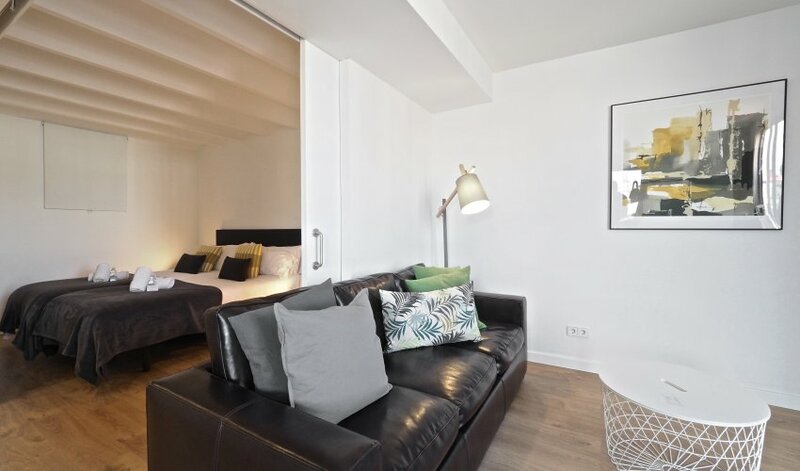 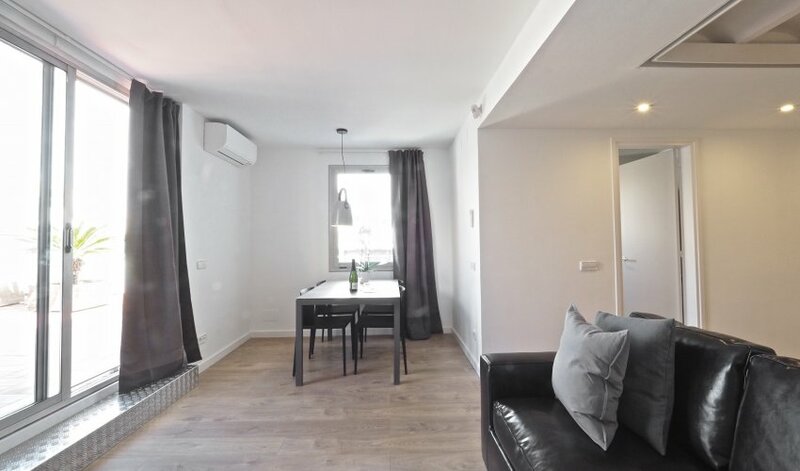 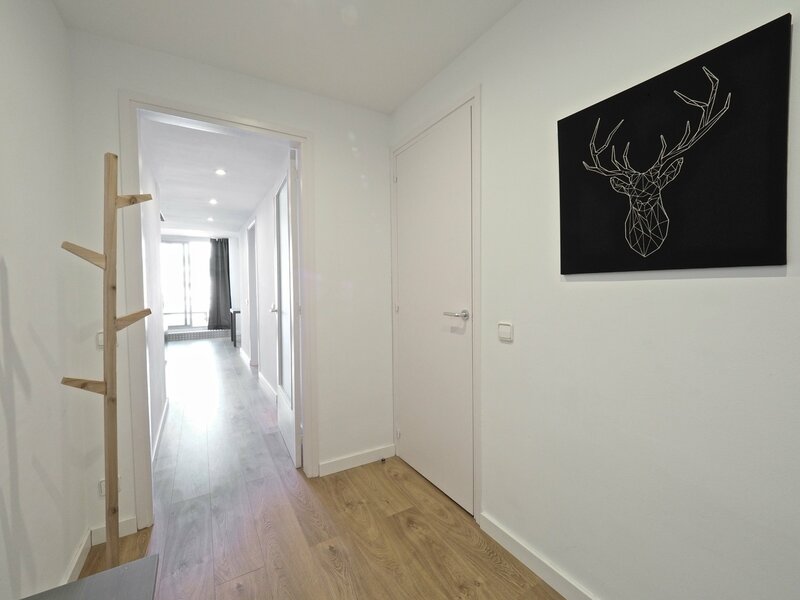 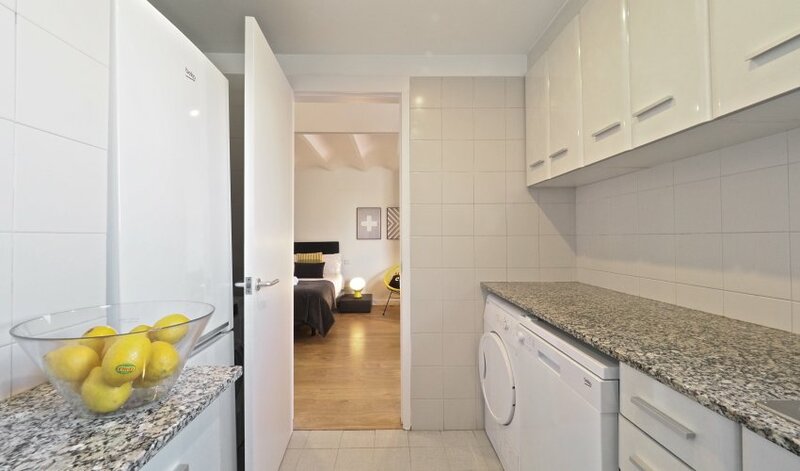 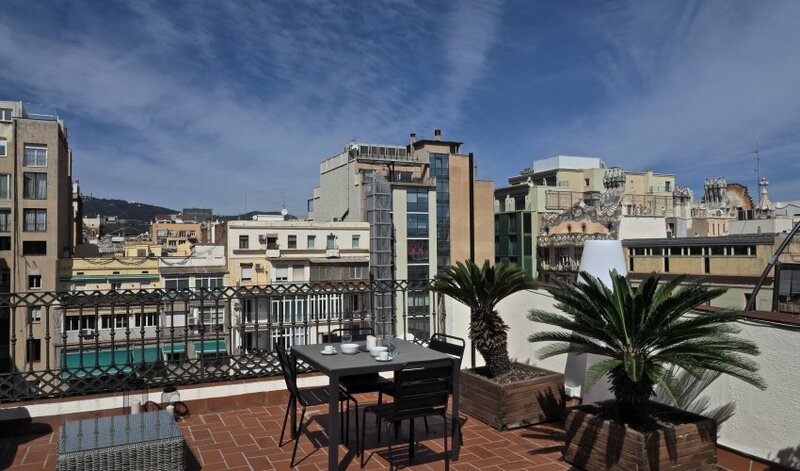 This apartment in Barcelona has a great location in the center of Barcelona, very close to Paseo de Gracia, La Pedrera, Casa Batllo and Las Ramblas which makes it ideal for business and tourism visits. 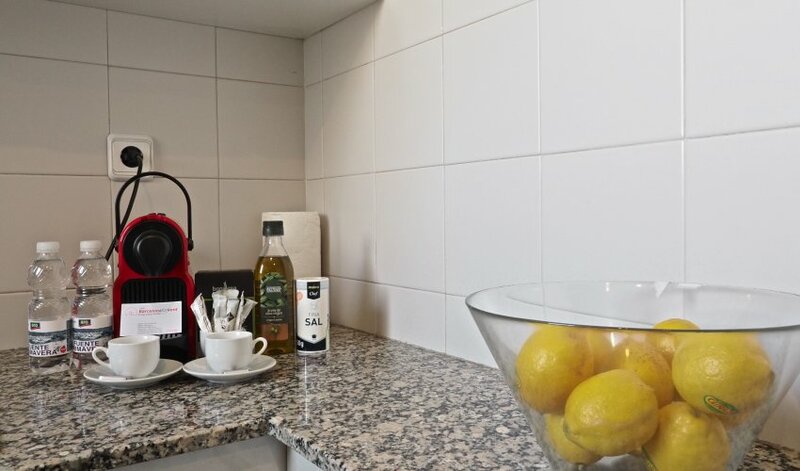 It offers maximum comfort having the complete equipment as of Wi – Fi , air conditioning and central heating, flat screen TV, DVD, speaker for all types of smartphone and tablet with a USB port for charging, Nespresso machine, towels and sheets. 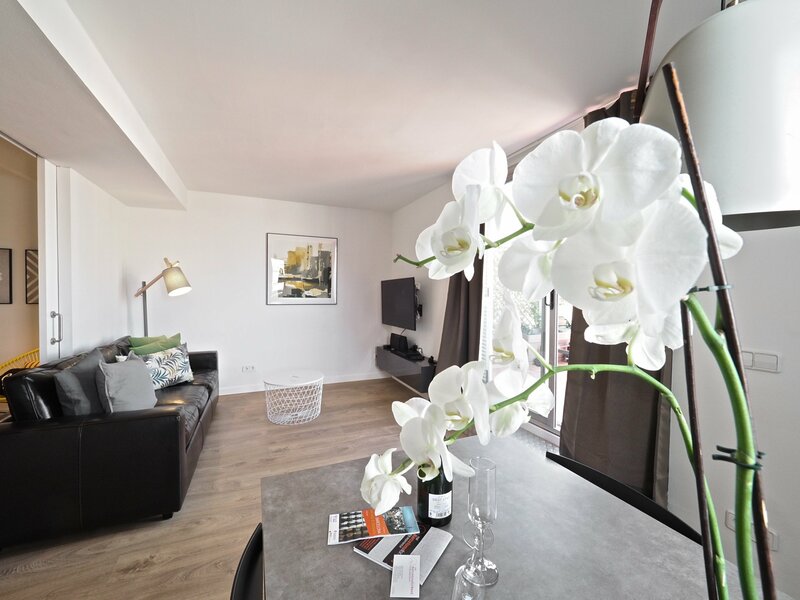 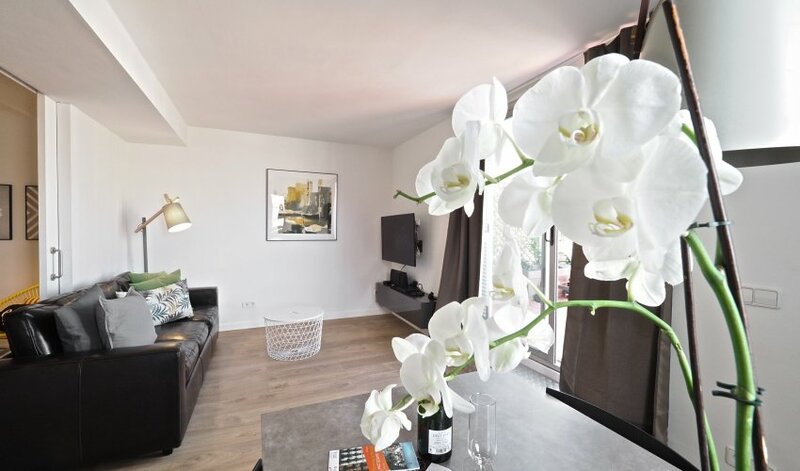 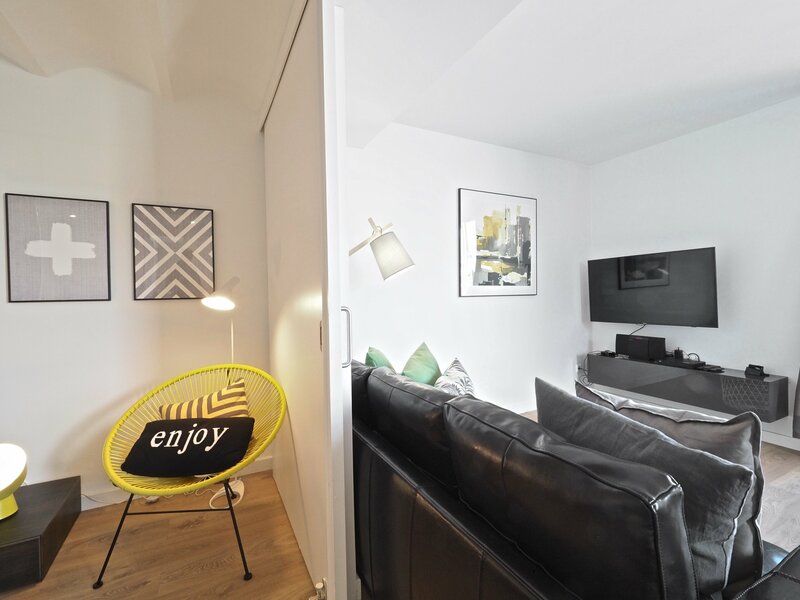 This holiday apartment is very comfortable and stylish. 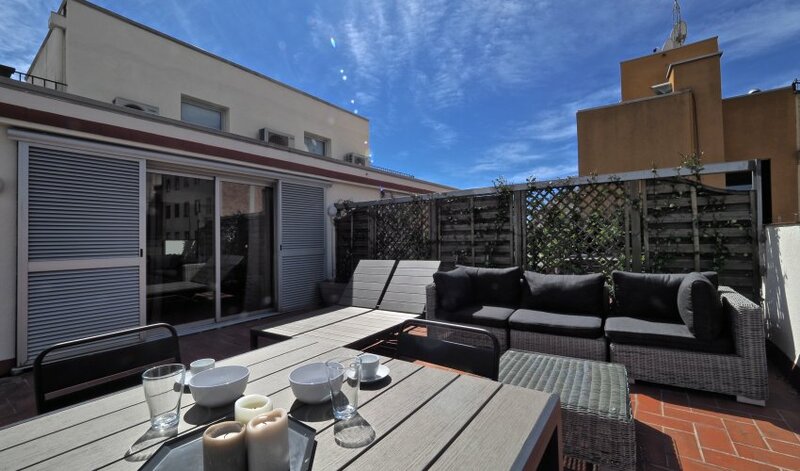 It consists of a living room and a terrace. 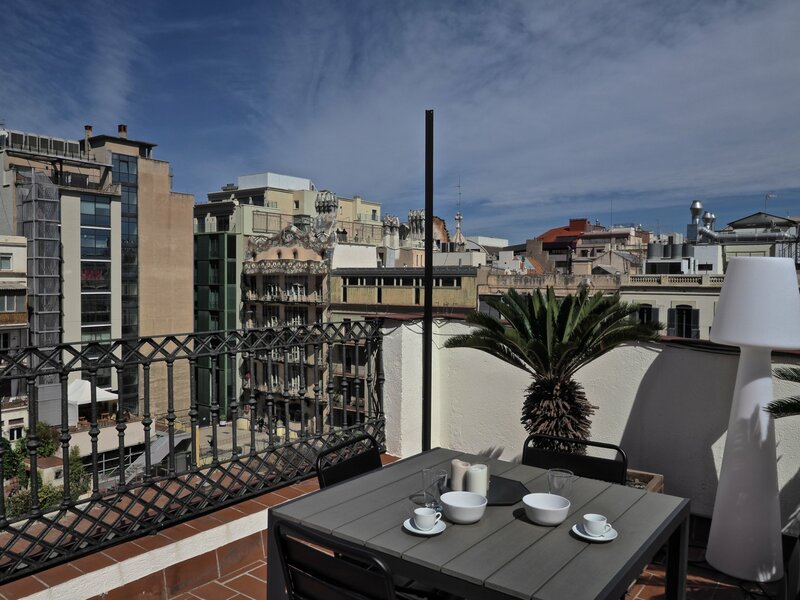 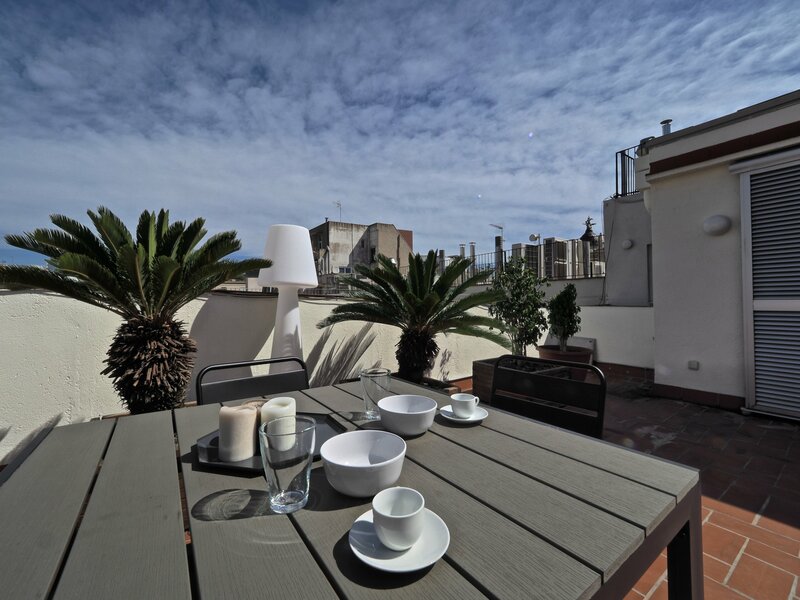 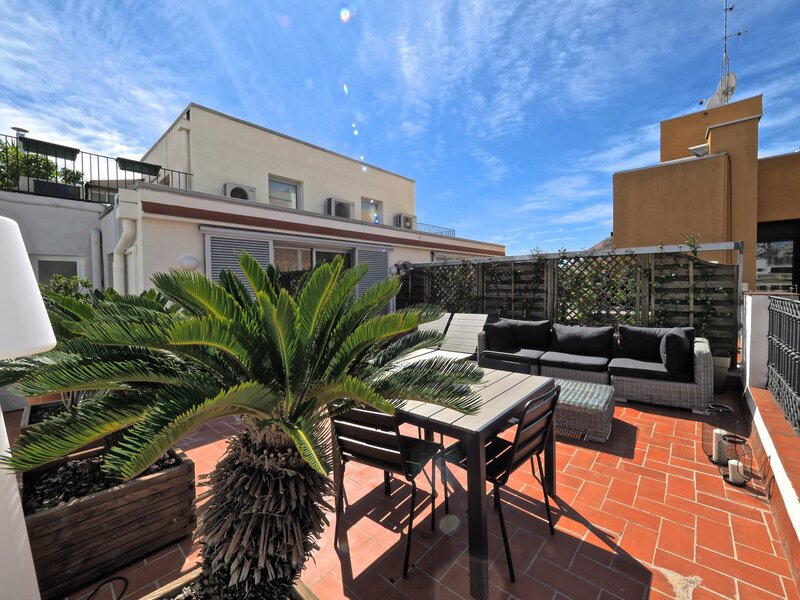 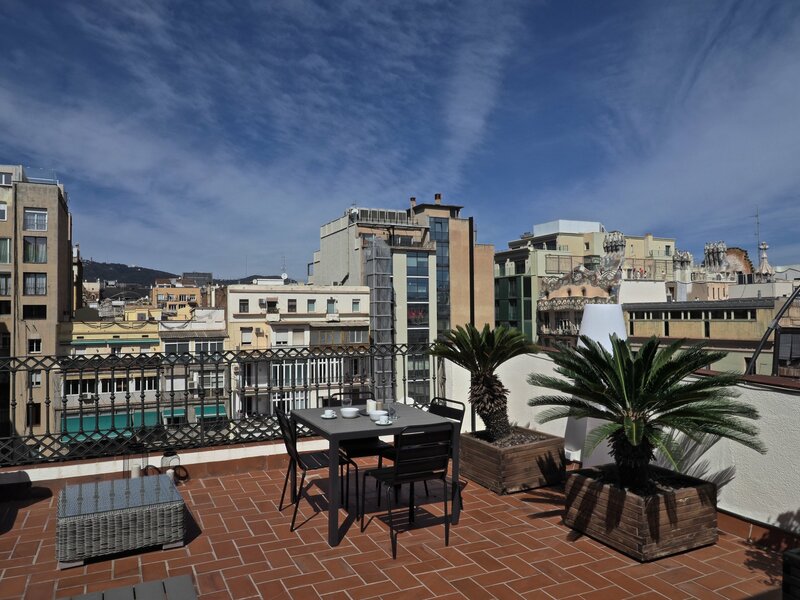 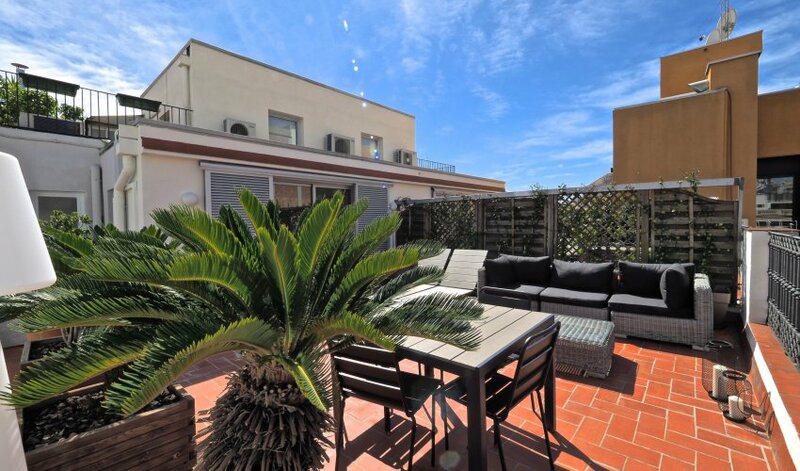 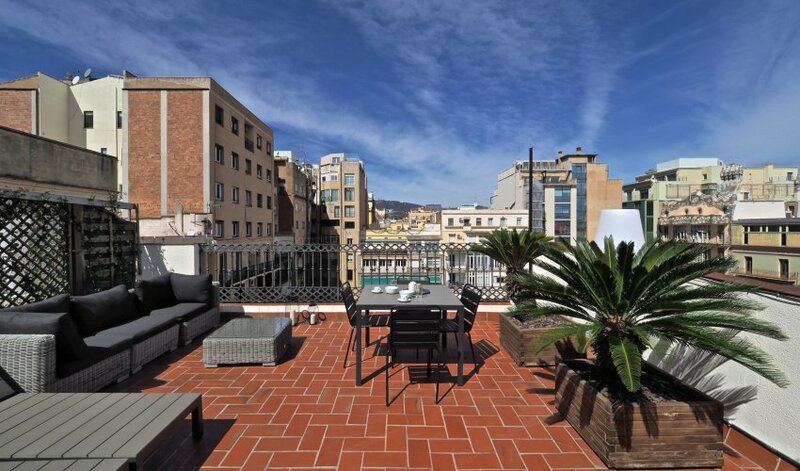 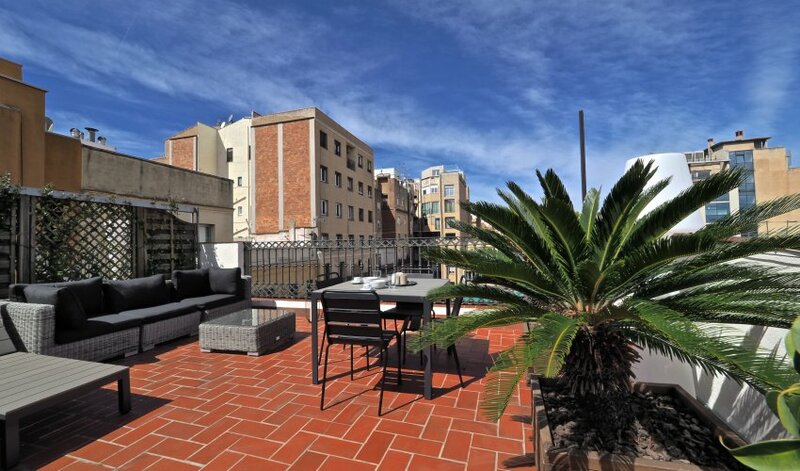 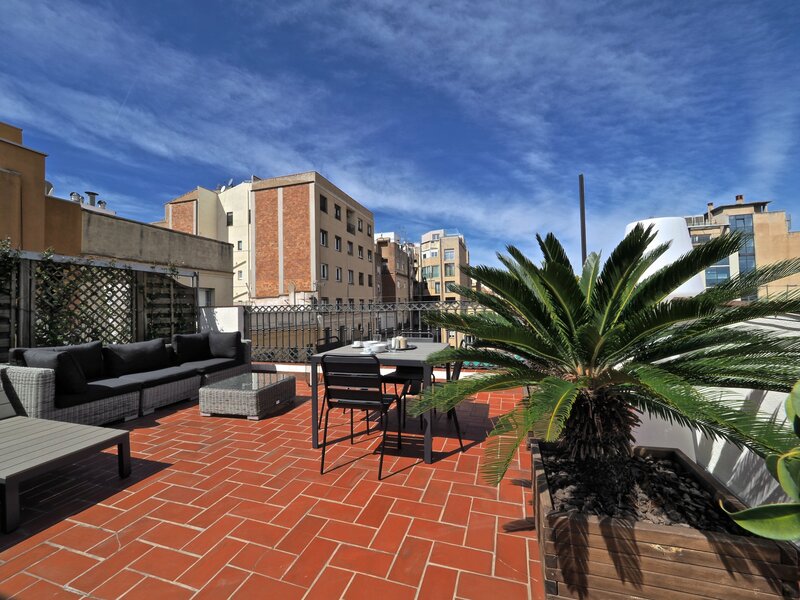 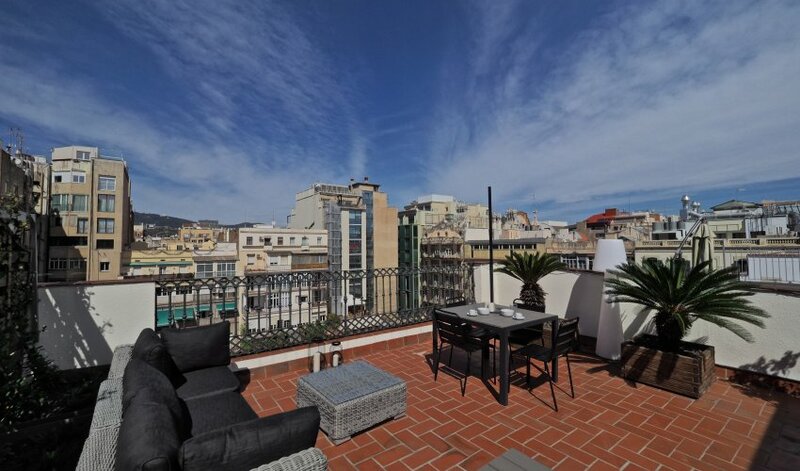 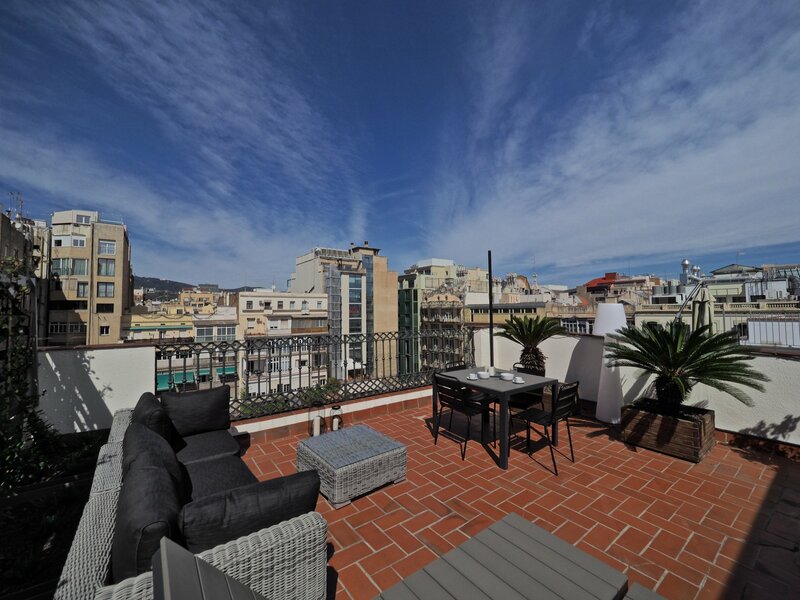 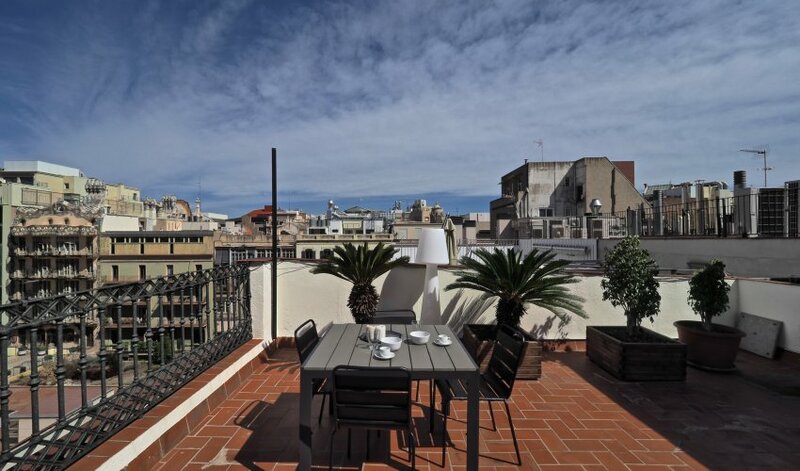 From the terrace you will enjoy the view of a backyard and also the back part of Casa Batlló. 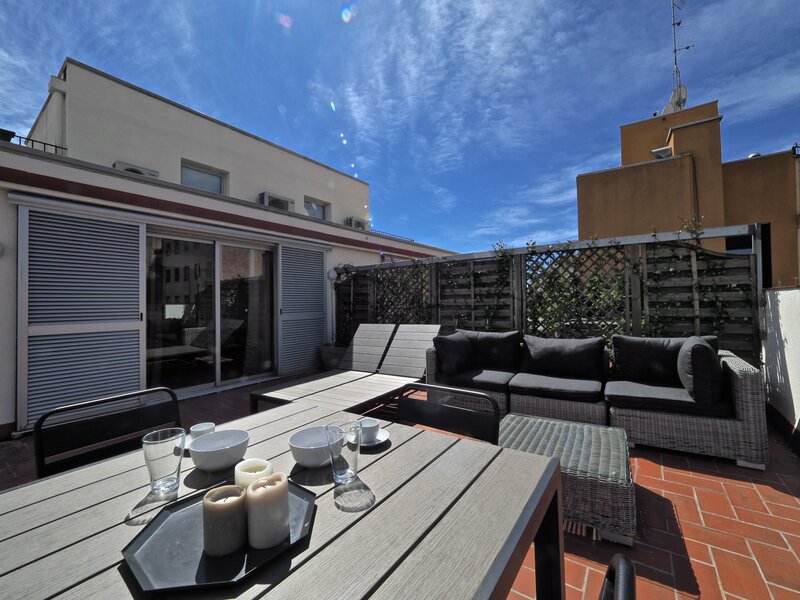 In the same area, there is a dining table and four chairs. 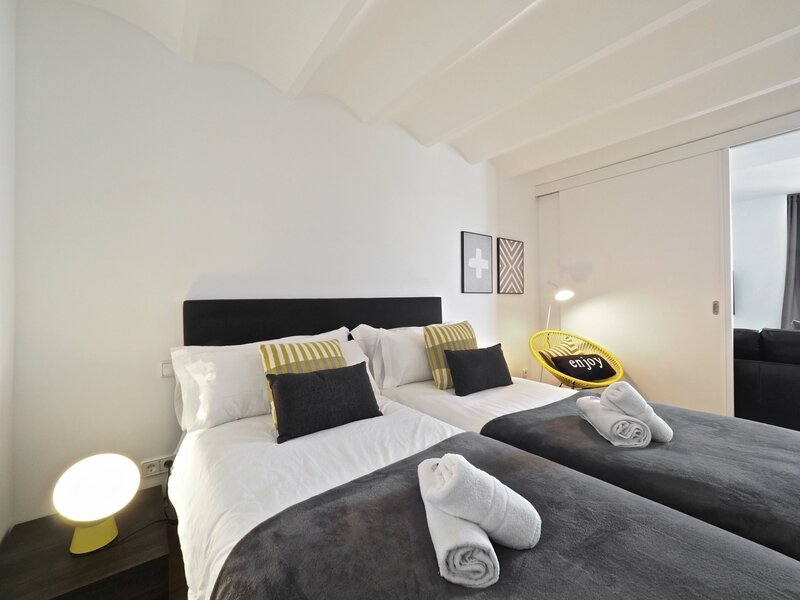 It has a bedroom with two single beds. 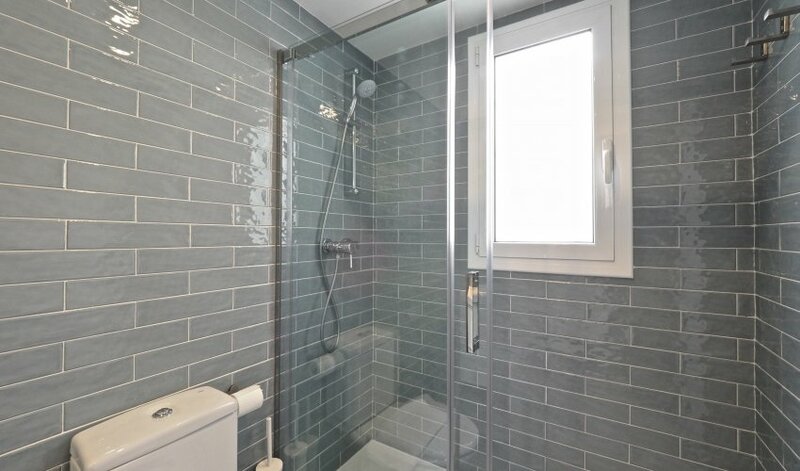 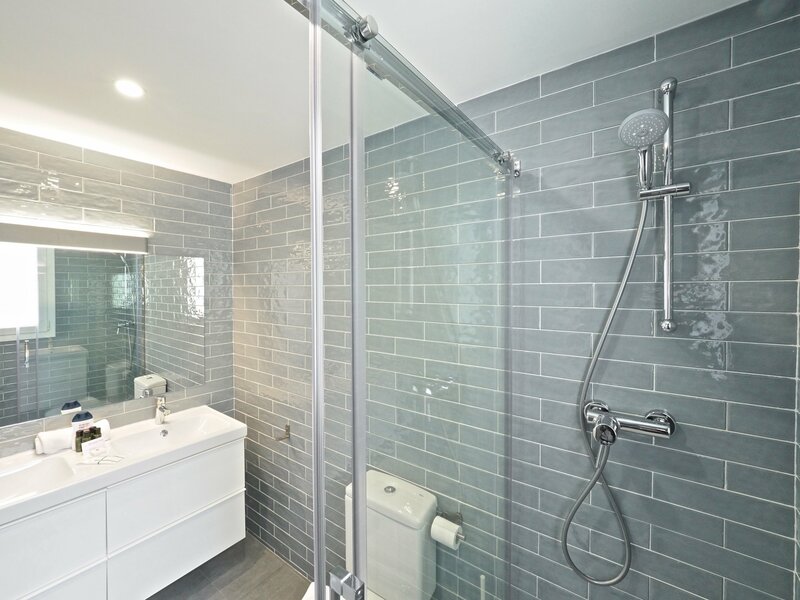 It has a bathroom with shower and a hair dryer. 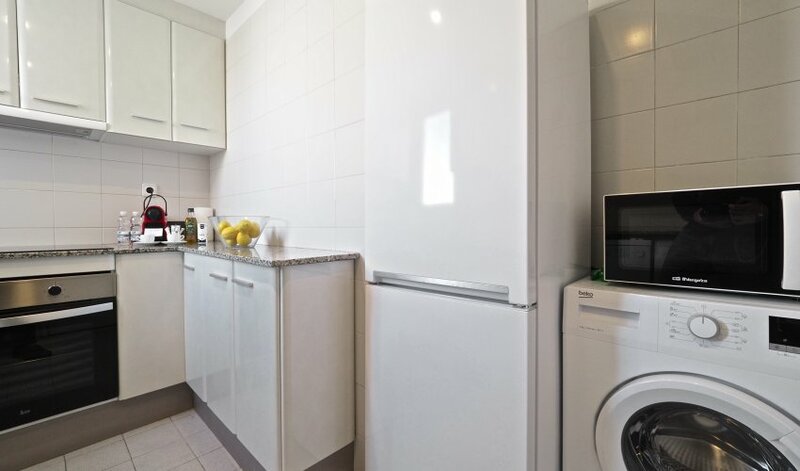 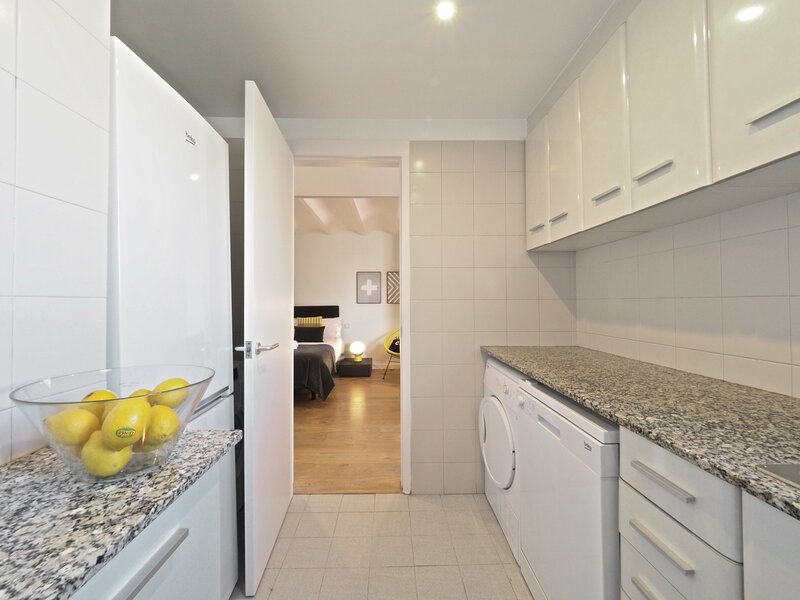 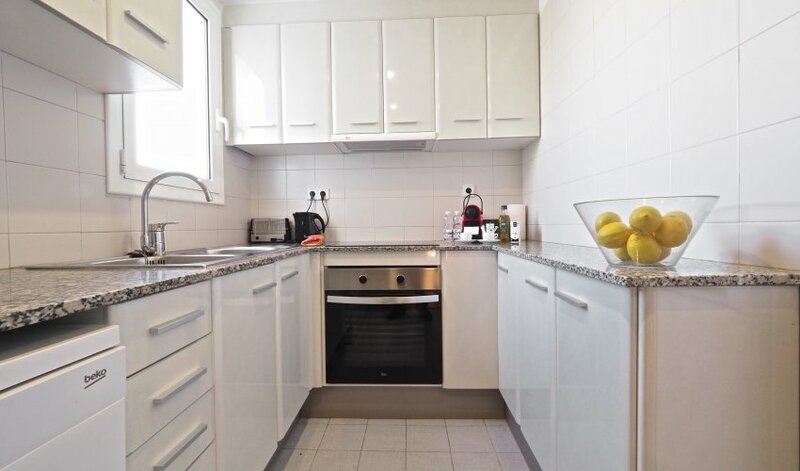 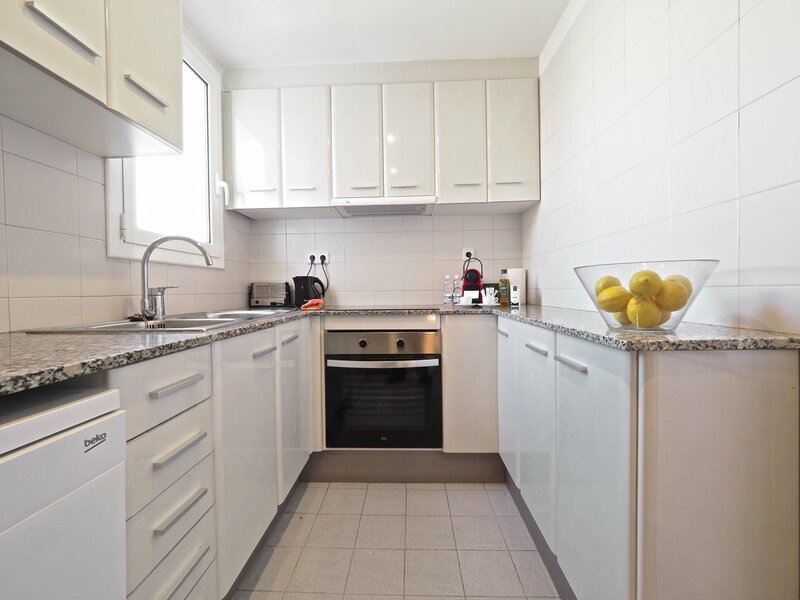 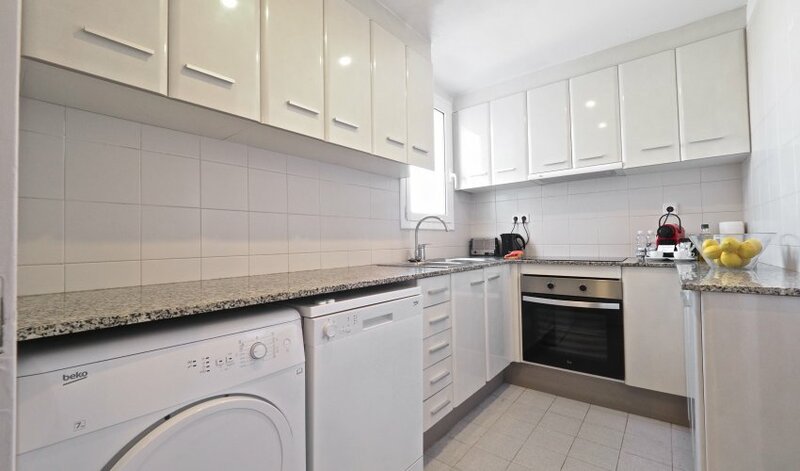 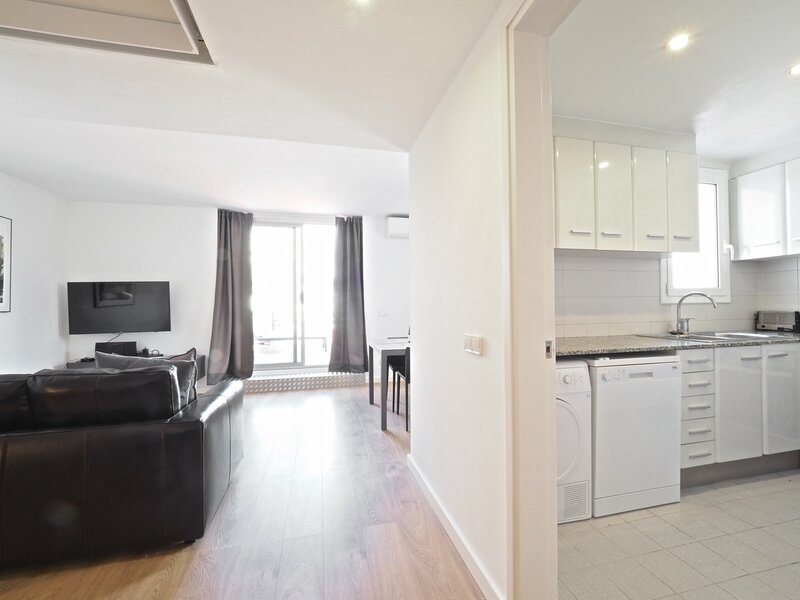 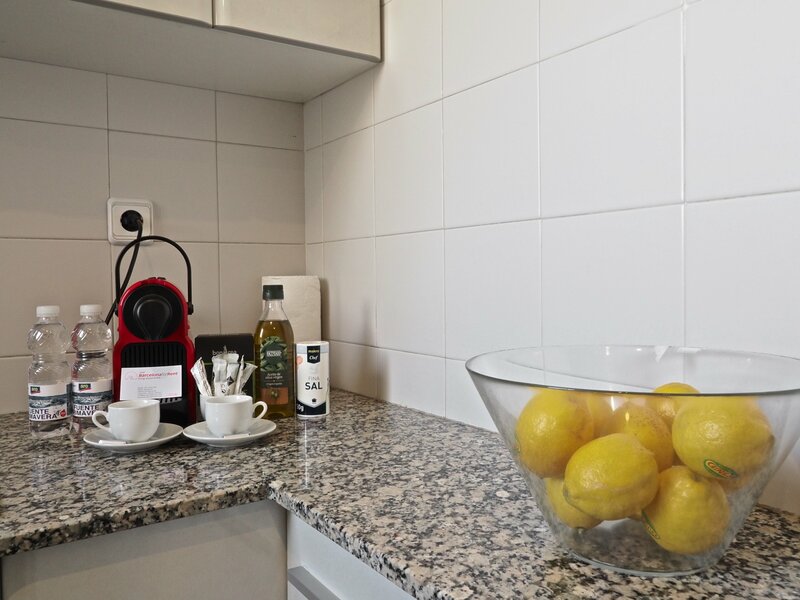 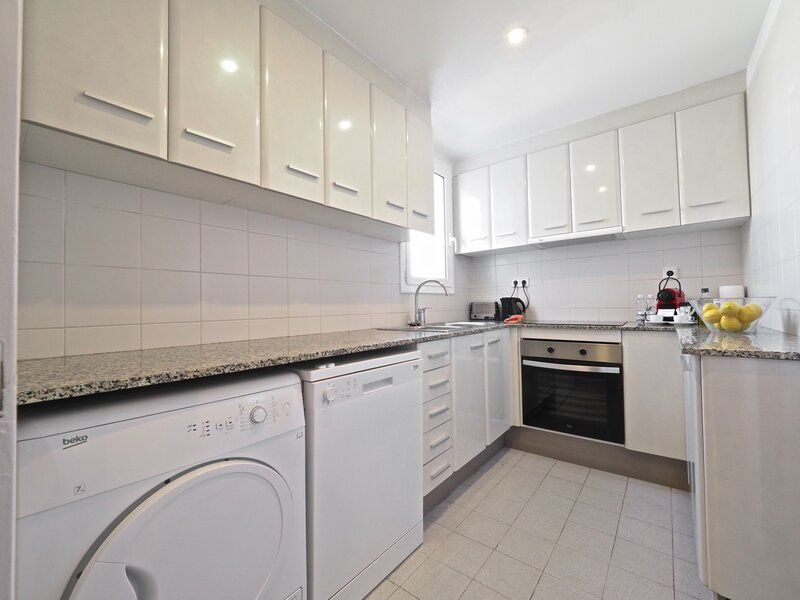 The kitchen is fully equipped with the following appliances: washing – drying machine, fridge - freezer, oven, microwave, dish-washer, toaster and a Nespresso machine. 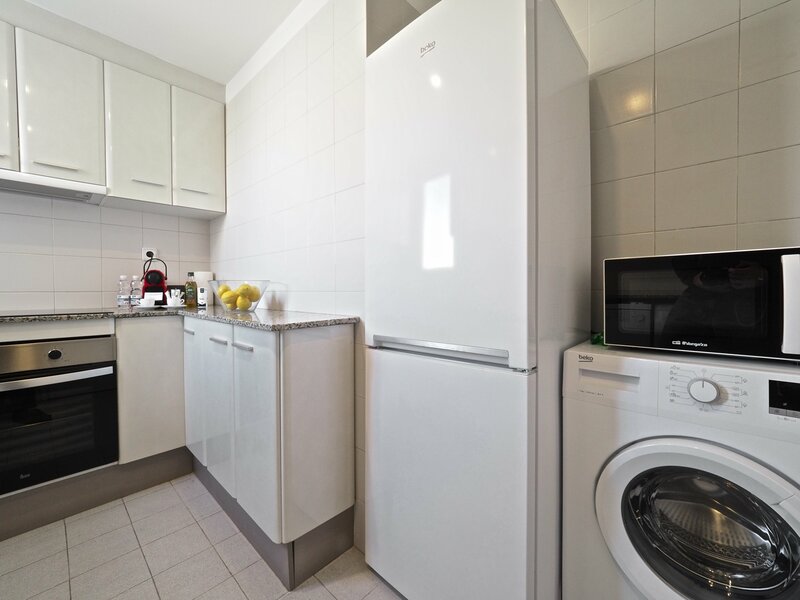 Building with video camera surveillance. 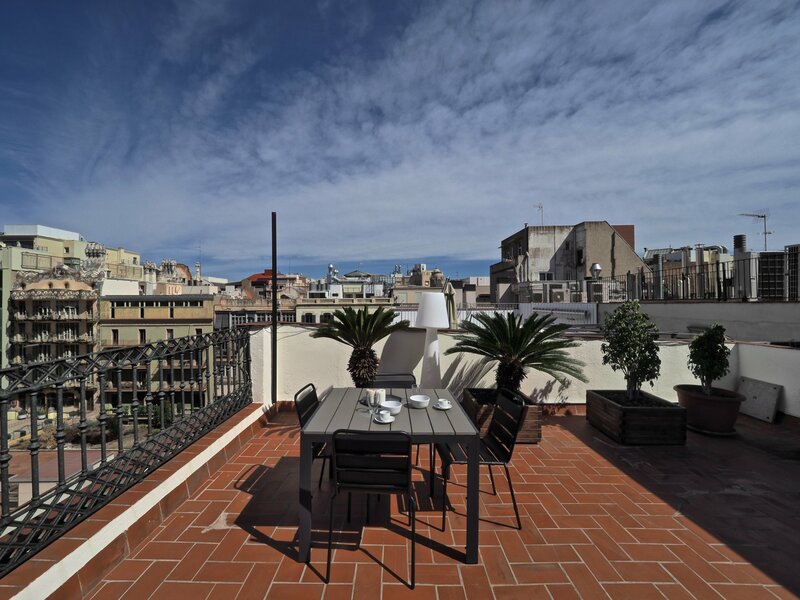 The Central Place Terrace II has a total area of 60m2 and 40m2 terrace in which can sleep up to four people. 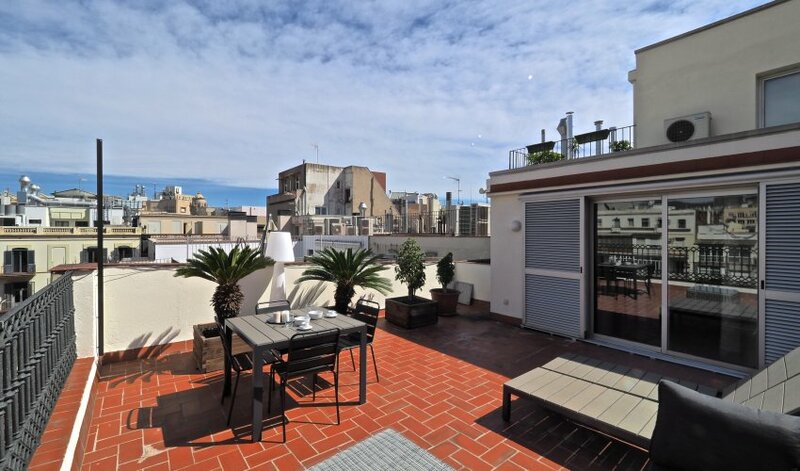 This Barcelona apartment is located on the sixth floor of a true modernist building with elevator, intercom and concierge. 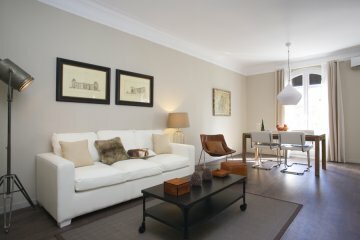 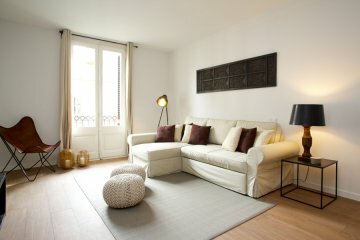 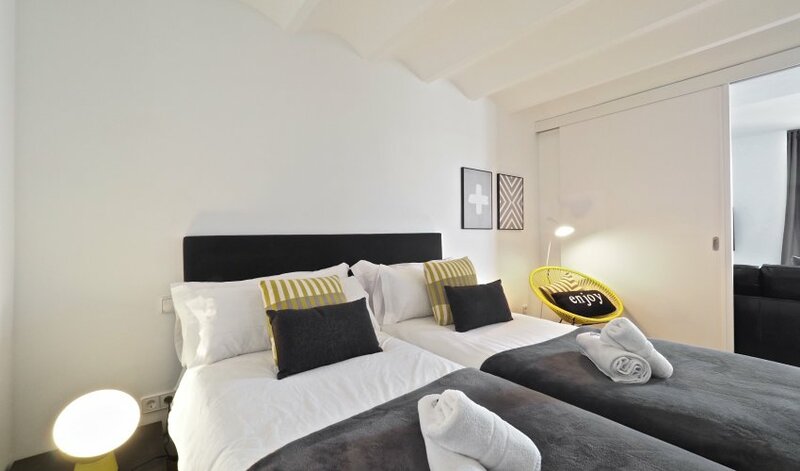 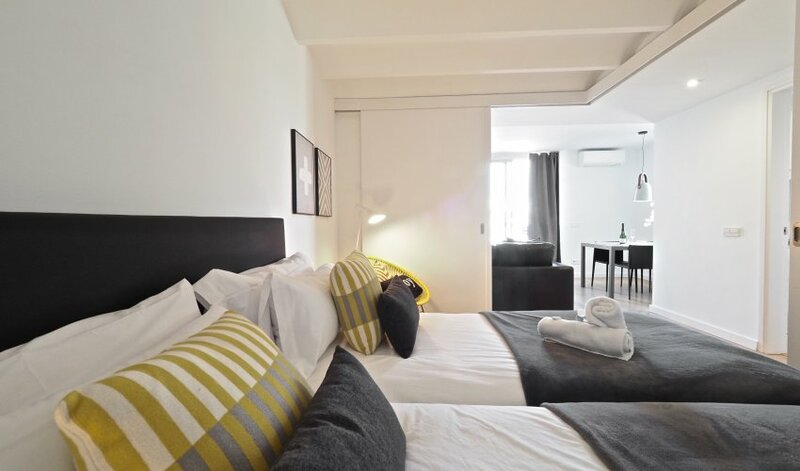 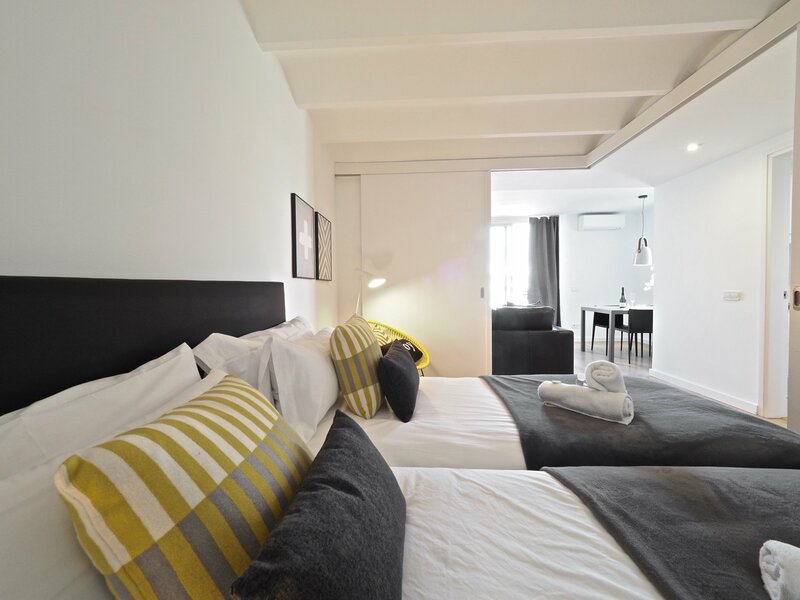 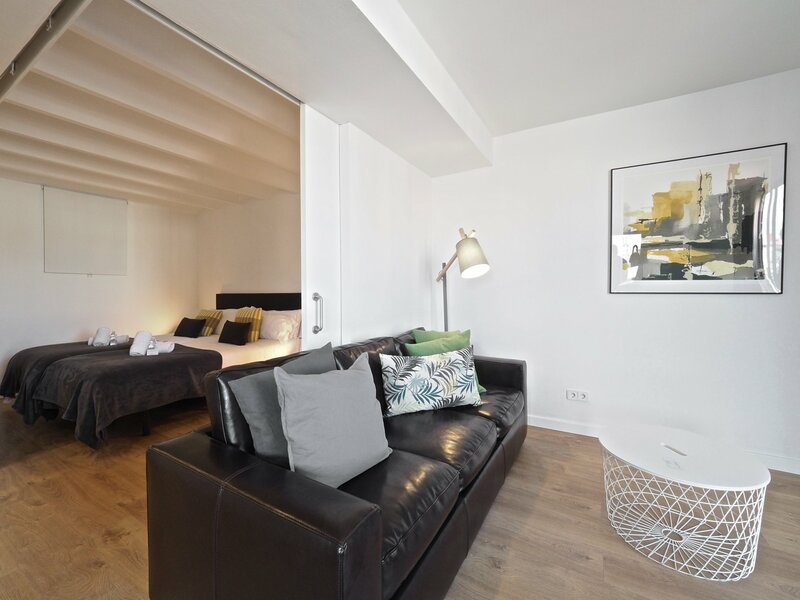 If traveling with family or friends come and stay in our BarcelonaForRent Apartments it is cheaper than a hotel. 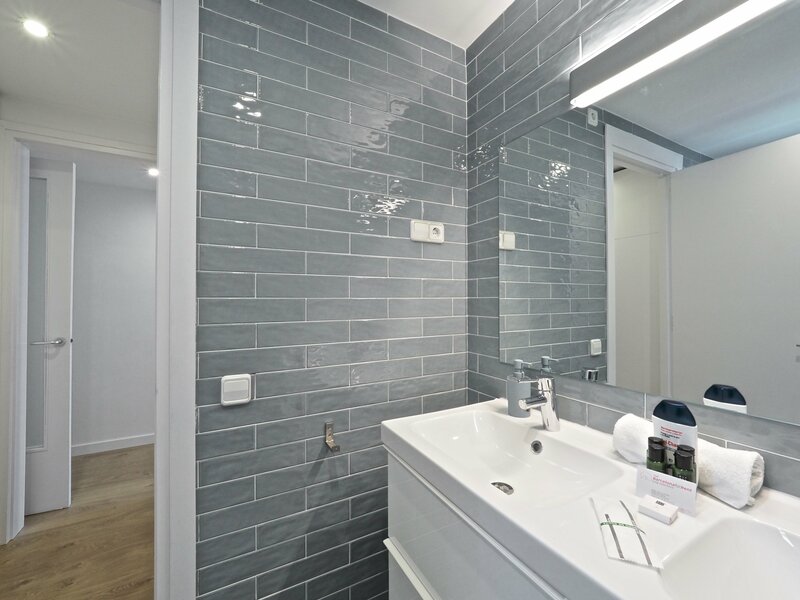 A smart way to save! 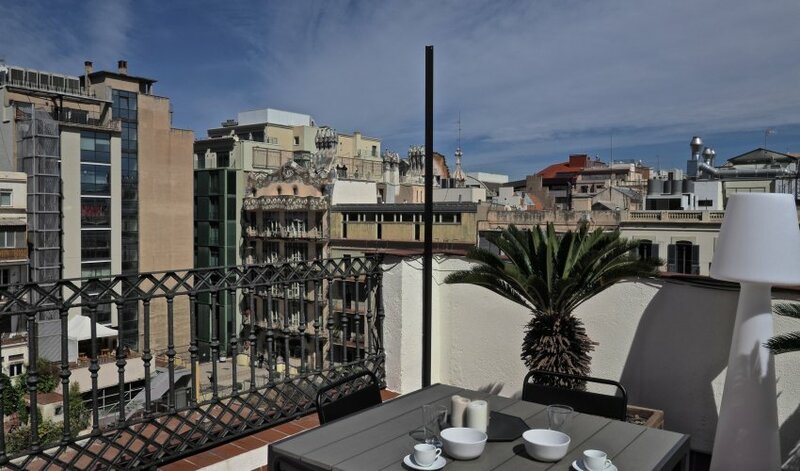 Enjoy Barcelona as a Barcelonés would love to. 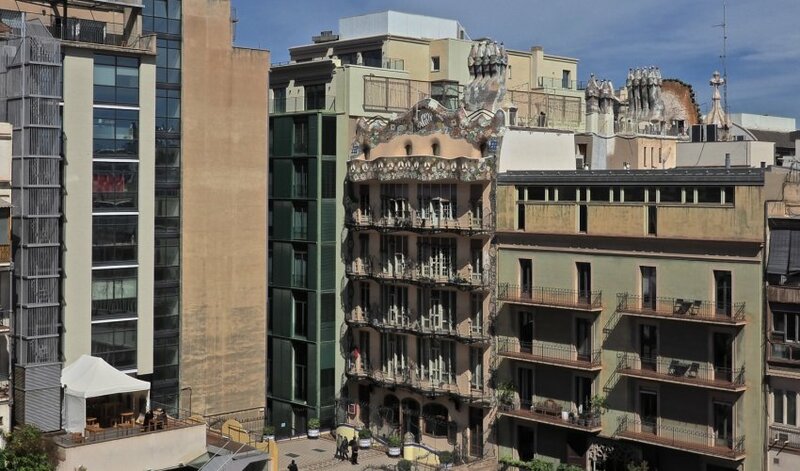 La Pedrera, a 5 minutes’ walk. 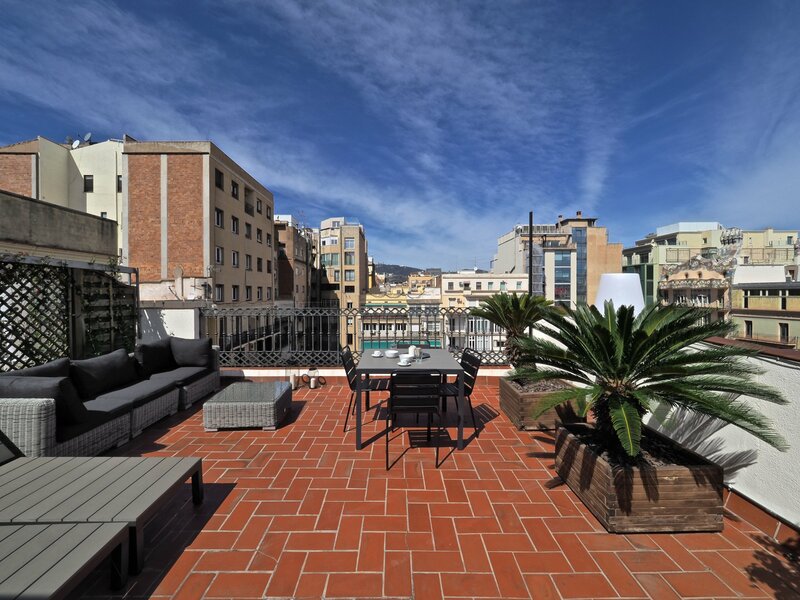 La Casa Batllo, just 3 minutes walk. 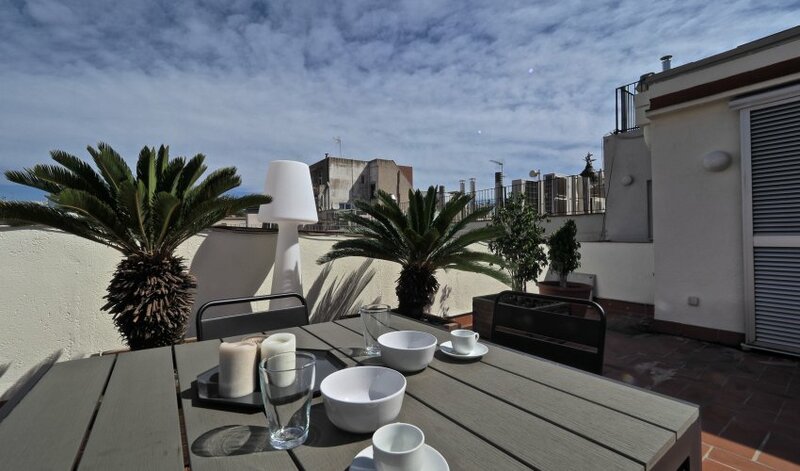 Plaza Catalunya, Las Ramblas and the Old Town, a 5 minute walk. 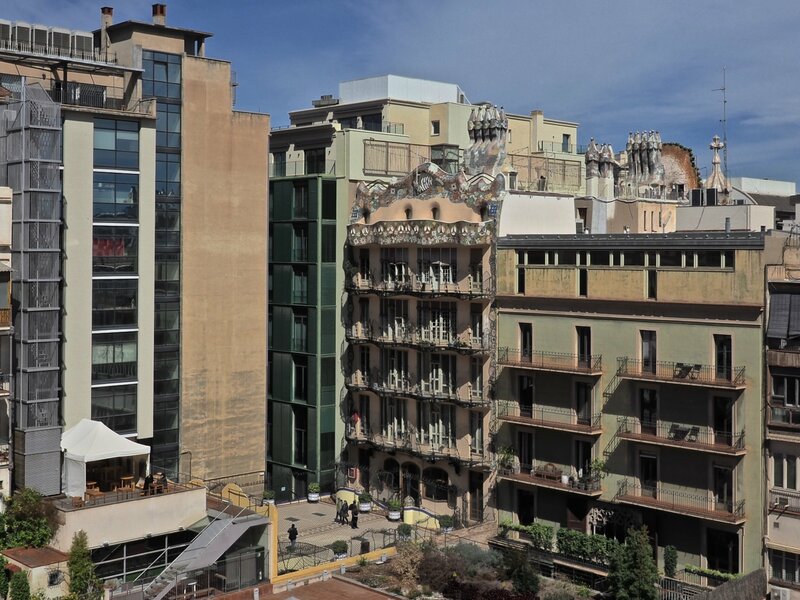 Plaza Espanya, where the Fira de Barcelona is 10 minutes by subway. 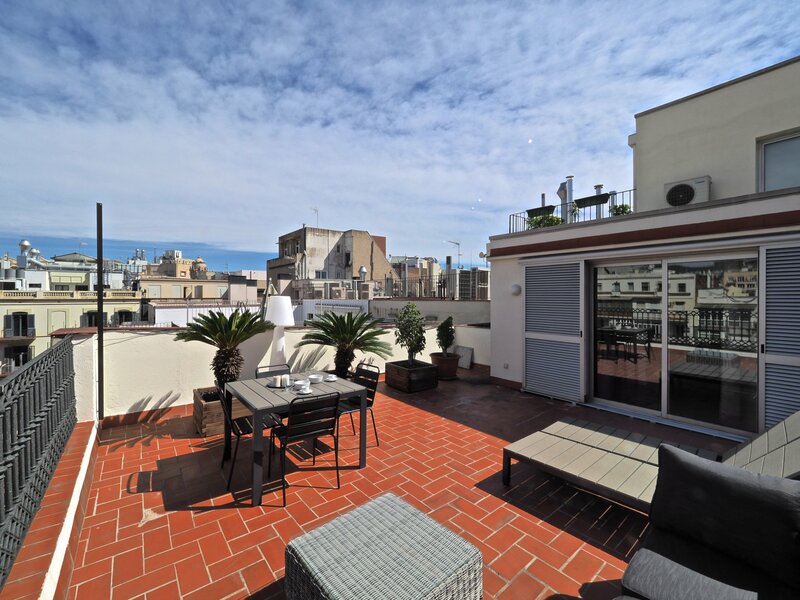 The nearest metro station from The Central Place Terrace II is just two minutes’ walk. 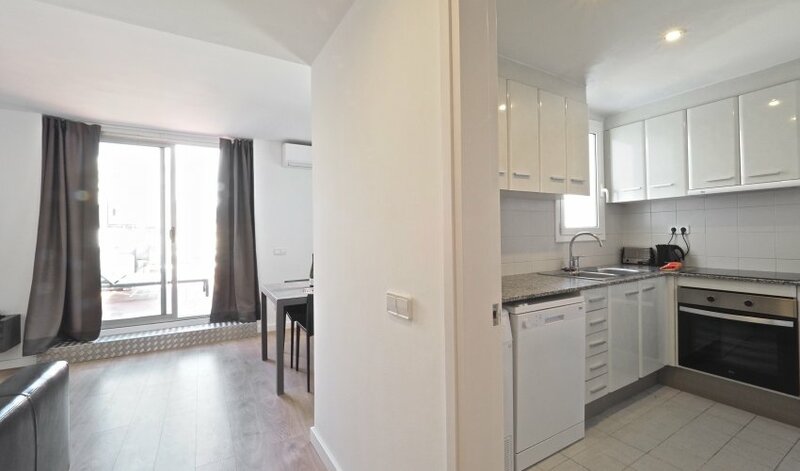 (Passeig de Gràcia Lines 2, 3 and 4).